Can’t attend but wish to support the event and our work? Make a One-Time Donation HERE. 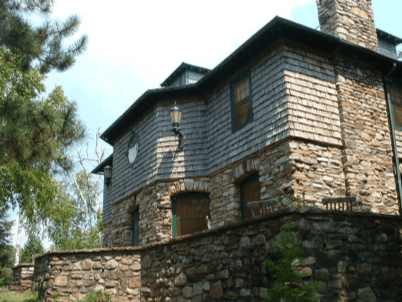 Thank you for supporting Adirondack Architectural Heritage. 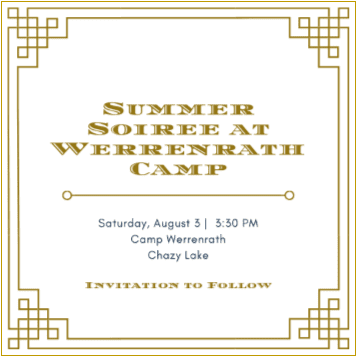 Please join AARCH staff, board, and special guests for a lively late afternoon cocktail party at the former Werrenrath Camp on Chazy Lake. McKim, Mead, & White for Reinald Werrenrath, the famed baritone operatic singer of the Metropolitan Opera. 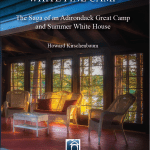 Werrenrath’s camp, which he affectionately referred to as “The Shanty,” was built in 1928, and consists of a main camp, boat house and ice house. The compound sits in an idyllic setting, perched on an island connected to the mainland by a causeway. Local materials were used in construction, including limestone and tailings from iron ore mines in nearby Lyon Mountain that were mixed into mortar, giving it a distinctive character. Werrenrath hosted a slew of famous guests over the years at his summer residence, including Eleanor Roosevelt, Enrico Caruso, Joan Crawford, and Clark Gable. 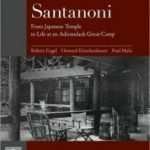 The camp was also later owned by actress Brooke Shields. 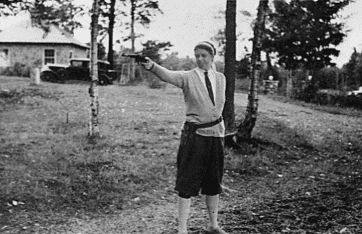 Eleanor Roosevelt during a shooting practice on holiday at Werrenrath Camp. The boathouse is visible in the background. Image courtesy of Rod Bigelow. Join AARCH as we travel back to the 1930s for this special afternoon on the shore. 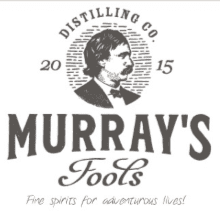 Sip a signature 1930s-inspired cocktail featuring locally-made craft spirits by Altona distillery Murray’s Fools Distilling Co., makers of fine small batches of vodka, brandy, whisky, and aquavit. Enjoy delicious hors d’oeuvres and friendly conversation. 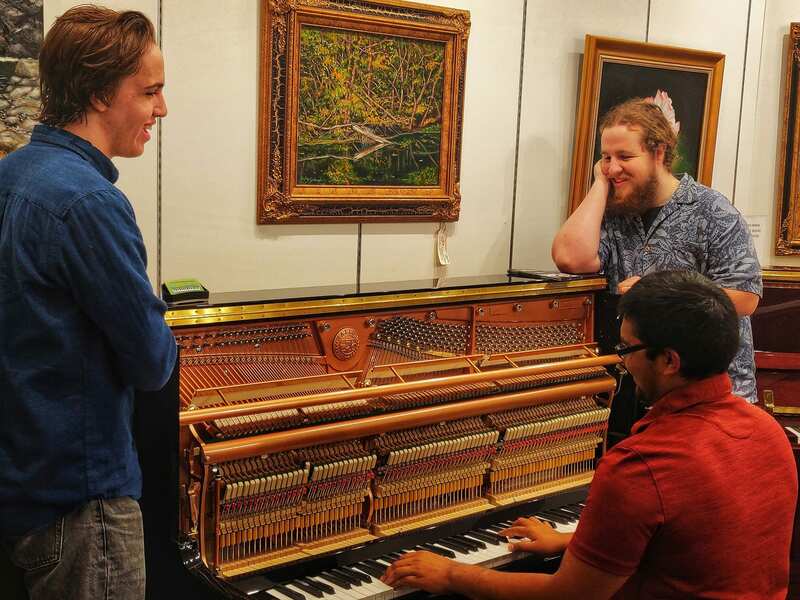 Listen to the jazz and contemporary sounds of the Wickmoore Jazz Trio while perusing our silent auction items. The event also includes a meet and greet with Eleanor Roosevelt, AARCH’s very special guest for the evening. We can’t wait to see you there! Individual tickets are $125 per person. Young Preservationist tickets are $40 (ages 30 and under). Price includes delicious hot and cold hors d’oeuvres, refreshments, a tour of Werrenrath Camp. Tickets available HERE. Sponsorship opportunities and special display spaces for business-level sponsorships are available. Contact Virginia for more information or purchase sponsorships directly on our website HERE. Proceeds from this exciting event will benefit AARCH’s preservation efforts in towns and communities throughout the Adirondack Park.